California Governor Schwarzenegger will propose nearly $95 million in the state budget to create the Governor’s Research and Innovation Initiative. This initiative is designed to provide funding for major projects that will increase California’s economic strength in key innovation sectors, including cleantech, biotech and nanotech. Helios Project. The Governor’s budget provides $30 million in lease revenue bonds for the Helios Project, an initiative by the University of California’s Lawrence Berkeley National Laboratory to create sustainable, carbon-neutral sources of energy. The Helios Project will produce the next generation of super-efficient solar energy technology that will help reduce greenhouse gases and oil dependency. The Helios Project’s four goals are 1) generate clean sustainable alternatives to hydrocarbon fuels; 2) develop new energy sources; 3) improve energy conservation; and 4) reduce greenhouse gas emissions. The $30 million will be used to build a new energy/nanotechnology research building for the Helios Project. These campuses were among only five universities in the world that were invited to compete for the $500 million grant to build and operate an Energy Biosciences Institute, which will be dedicated to long-term research into the production of alternative fuels. The Institute will focus on converting biomass materials into fuels, converting fossil fuels to energy with less environmental damage and maximizing oil extraction from existing wells in environmentally sensitive ways. To accelerate California’s movement towards a clean fuel future, the University of California will dovetail the Institute’s work with the Helios Project. California Centers for Science and Innovation. The Governor’s budget provides $19.8 million (General Fund) for the California Institutes for Science and Innovation (CISI). CISI is a multidisciplinary research effort by the University of California-working in partnership with private companies-in the areas of information technology, biomedical research and nanotechnology. Since their inception, the institutes have generated more than $1 billion from private and federal sources, surpassing the state’s $400 million initial investment. The $19.8 million will be used for the institutes’ operating costs. Petascale Supercomputer. The budget provides the first $5 million increment in state matching funds to enhance the University of California’s bid to build a $200 million Petascale computer. Lawrence Livermore National Laboratory, Lawrence Berkeley National Laboratory and UC San Diego are in the running for the Petascale computer. The Petascale computer will be the most powerful computer in the world. For scientific policies to become reality elected officials must play a leadership role, and Governor Schwarzenegger has been that leader for California when it comes to alternative fuels—solar cell technology and bio-fuels—and reducing greenhouse gas emissions. The Governor, again this year, is serving as a catalyst for California’s research community by including funding in his budget that will help researchers to focus on both the demand and supply sides of energy: the development of clean, sustainable alternative energies, energy efficiency and energy conservation. Solix Biofuels Inc., a startup company based in Boulder, Colorado, is working with Colorado State University engineers to commercialize technology to produce biodiesel from oil derived from algae. Solix officials plan to have the technology on the market over the next two years. 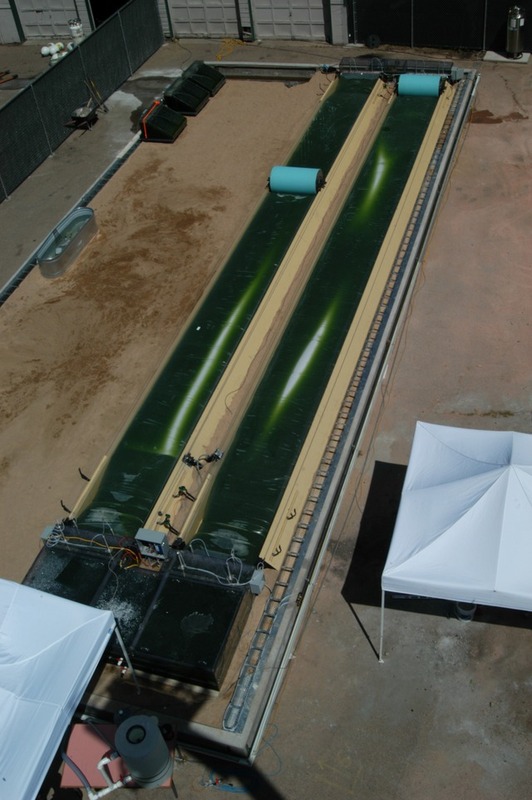 The Solix photo-bioreactors for algae production are based upon 20 years of research (the Aquatic Species Program) originating at the National Renewal Energy Laboratory (NREL), and are massively scaleable, according to the company. The algae grow within closed plastic bags, which reduces the possibility of infestation drastically. A novel low-energy temperature control system keeps the algae within a temperature range that optimizes growth. The bioreactor primarily consists of two large transparent flattened tubes made of specialty plastics. Water-weighted rollers squeeze the algae-bearing fluid through the tubes as they slowly move down tracks built into concrete supports on the side of the tubes. The peristaltic motion of the rollers creates a current inside the reactor, which force the algae to be in constant motion and allows more than just the top layer of algae to receive sunlight. In turn, that allows the fluid depth of the reactor to be 12 inches, and thus does not restrict photosynthesis to the surface layer of the fluid—a traditional obstacle to making cost-efficient photosynthetic bioreactors. Within the “bag” is a thermal layer that can be raised or lowered by the rollers to regulate the internal temperature of the bioreactor. The shape of the straps holding the foam is designed to maximize the fluid rotation within the reactor, presenting all the algae sequentially to the sun absorption zone in the top layers of the reactor. CO2 is injected into the photo-bioreactor for the photosynthesis reaction. Colorado State and Solix officials are collaborating with New Belgium Brewing Co. to use excess carbon dioxide from the brewery’s plant to test the algae-based biodiesel process. Algae cells are harvested from the fluid with a centrifuge. Once harvested, the oil will be extracted and the resulting oil can then be refined into biodiesel fuels through the same transesterification process currently used to refine other vegetative oil sources into biodiesel. The algae oil can also be refined into other liquid fuels, including ethanol and jet fuel. Solix officials estimate that widespread construction of its photo-bioreactor system could meet the demand for the US consumption of diesel fuel—about 4 million barrels a day—by growing algae on less than 0.5% of the US land area, which is otherwise unused land adjacent to power plants and ethanol plants. The plants would also supply the requisite carbon dioxide. Algae to biofuel technologies are still being developed, yet a strong case can be made for global domestication of algae as an energy crop. We want to manage this technology to create a business that will serve current and future energy stakeholders. Solix and CSU join the ranks of several other start-ups trying to commercialize algae-to-biofuels technologies, including Algae BioFuels, GreenFuel Technologies Corporation, and cleantech business development company GreenShift (who is licensing technology developed at Ohio University) [previous posts here and at the Energy Blog]. Next-generation algae-based biofuels have the potential to scale large enough to actually make a significant impact on petroleum consumption. I wish these startups luck in commercializing one or more of their technologies. The Bonneville Power Administration (BPA), which plans to finance research on renewable energy with $1 million, is issuing a formal request for proposals (RFP) to the energy industry for advancement of technology that can help manage intermittent renewable power resources. Funding will specifically advance research on ocean wave and in-stream tidal generation technologies to generate electricity and address how to help tame the intermittent nature of wind power entering the region's electricity grid. "The existing federal power system uses 31 dams and one nuclear power plant, along with some wind power, to generate emission-free, non-fossil-fuel based electricity for the Northwest," BPA Deputy Administrator Steve Hickok said. "Adding renewable wave energy to the mix, with no associated fossil fuel use or emissions, certainly would fit well with our federal power supply portfolio and could hold promise as our region's electricity needs continue to grow." Hickok said the opportunity is there for ocean wave and tidal generation technology to garner the same level of popularity and growth that wind power has experienced in recent years. Wind power currently supplies about 3 percent of the region's electricity. Since January 2005, facilities supplying more than 970 megawatts (MW) of wind power have been completed or are under construction in the Northwest and construction of another 660 MW or more is expected within the next two years. Wind project developers have requested integration services with the transmission grid for facilities to add more than 3,000 additional MW of wind power in the region over the next several years. While BPA estimates that about $1 million will be made available in fiscal year 2007 through this RFP, there is potential for continued funding into future years. This RFP is the first use of the FY 2007 funds that BPA has announced to date. Through the RFP, BPA will fund up to 65 percent of a selected proposal's cost, but not more than $500,000 on a single project. Efficiency has replaced speed as the official priority in China's economic development, which has registered double-digit growth at the cost of high energy consumption and a deteriorating environment. Chinese President Hu Jintao [pictured at left] has said in recent meetings that the country would realize "efficient and rapid" economic development. His remarks replaced the decade-long goal to achieve "rapid and efficient" development. "China should take substantive measures to shift its focus from pursuing speed to improving the quality and efficiency of economic growth," said Hu. Zhong Wei, an economic professor with Beijing Normal University, said the wording change sent a strong signal that the government would list efficiency as the primary criterion to evaluate economic performance of next year. A high-level meeting presided over by Hu last week decided that the government would convene the annual Central Work Conference on Economy in the near future to discuss the new primary goal. The economy has been expanding rapidly since 1990, with an annual growth rate of 9.7 percent on average, making China the world's fourth largest economic entity last year. But the country has paid a price for blind pursuit of GDP. The high energy consumption, accompanied by high pollution, has posed a threat to its sustainable development and prompted criticism from around the world. Zhong said efficient economic growth had many implications, such as raising the proportion of the tertiary sector in the economy, reducing the output of high energy-consuming industries and developing and applying high technologies. The government has set a goal to reduce energy consumption per capita GDP by 20 percent in 2010 over that in 2005, which translates to around a four-percent decrease annually from 2006 to 2010. But Zhong said published data indicated the difficulty of attaining the goal. The economy surged by 10.9 percent in the first half, the fastest growth rate in a decade. Meanwhile, energy consumption rose, rather than fell as expected. Zhong speculated that the grave situation in energy efficiency had pushed the government to make the changes and list efficiency at the top of the economic agenda. In other news, China will join the steering committee of the United States' FutureGen project. China thus becomes the third country to join the United States in the FutureGen International Partnership. South Korea joined the FutureGen initiative in June 2006. The US and China also signed an Energy Efficiency and Renewable Energy Protocol renewing cooperation in advancing clean technology including solar, wind, and biomass. 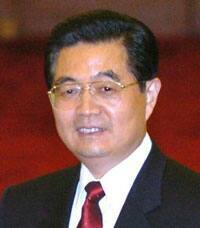 The agreements were made as an outcome of the US-China Strategic Economic Dialogue (SED) in Beijing. "We welcome China and their expertise to the FutureGen project," said U.S. Energy Secretary Samuel Bodman. "China and the US share a common energy resource in coal, so it is imperative that we work together to find ways to use coal effectively, efficiently, and without contributing emissions." The $1 billion FutureGen prototype plant, targeted to begin operation in 2012, is a nominal 275 MW facility that will remove and sequester carbon dioxide while producing electricity and hydrogen from coal, making it the environmentally cleanest fossil-fuel fired power plant in the world. Separately, China’s State Nuclear Power Technology Company (SNPTC) selected the Westinghouse Advanced Passive 1000 (AP1000) as the technology basis for four new nuclear power plants. Westinghouse is now a group company of Toshiba. The AP1000 has been identified as the technology of choice for 12 new projected plants in the United States as well. The NRC approved the final design certification for the AP1000 reactor in January 2006. The global mean surface temperature in 2006 is currently estimated to be + 0.42°C above the 1961-1990 annual average (14°C / 57.2°F), according to the records maintained by Members of the World Meteorological Organization (WMO). The year 2006 is currently estimated to be the sixth warmest year on record. Final figures will not be released until March 2007. Averaged separately for both hemispheres, 2006 surface temperatures for the northern hemisphere (0.58°C above 30-year mean of 14.6°C / 58.28°F) are likely to be the fourth warmest and for the southern hemisphere (0.26°C above 30-year mean of 13.4°C / 56.12°F), the seventh warmest in the instrumental record from 1861 to the present. Since the start of the 20th century, the global average surface temperature has risen approximately 0.7°C. But this rise has not been continuous. 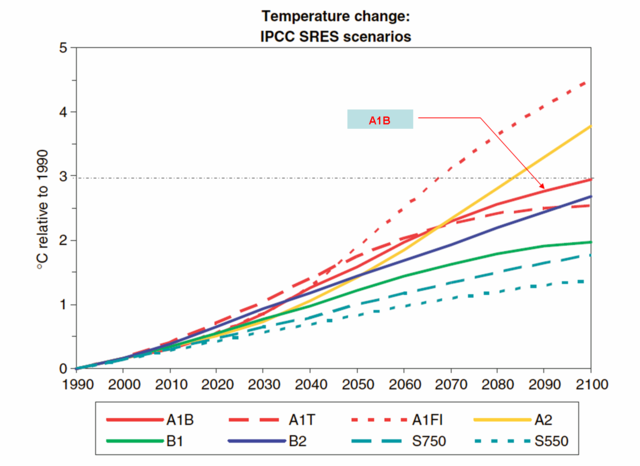 Since 1976, the global average temperature has risen sharply, at 0.18°C per decade. In the northern and southern hemispheres, the period 1997-2006 averaged 0.53°C and 0.27°C above the 1961-1990 mean, respectively. Regional temperature anomalies. The beginning of 2006 was unusually mild in large parts of North America and the western European Arctic islands, though there were harsh winter conditions in Asia, the Russian Federation and parts of eastern Europe. Canada experienced its mildest winter and spring on record, the USA its warmest January-September on record and the monthly temperatures in the Arctic island of Spitsbergen (Svalbard Lufthavn) for January and April included new highs with anomalies of +12.6°C and +12.2°C, respectively. Persistent extreme heat affected much of eastern Australia from late December 2005 until early March with many records being set (e.g. second hottest day on record in Sydney with 44.2°C / 111.6°F on 1 January). Spring 2006 (September-November) was Australia’s warmest since seasonal records were first compiled in 1950. Heat waves were also registered in Brazil from January until March (e.g. 44.6°C / 112.3°F in Bom Jesus on 31 January—one of the highest temperatures ever recorded in Brazil). Several parts of Europe and the USA experienced heat waves with record temperatures in July and August. Air temperatures in many parts of the USA reached 40°C / 104°F or more. The July European-average land-surface air temperature was the warmest on record at 2.7°C above the climatological normal. Autumn 2006 (September-November) was exceptional in large parts of Europe at more than 3°C warmer than the climatological normal from the north side of the Alps to southern Norway. In many countries it was the warmest autumn since official measurements began: records in central England go back to 1659 (1706 in The Netherlands and 1768 in Denmark). Prolonged drought in some regions. Long-term drought continued in parts of the Greater Horn of Africa including parts of Burundi, Djibouti, Eritrea, Ethiopia, Kenya, Somalia, and the United Republic of Tanzania. At least 11 million people were affected by food shortages; Somalia was hit by the worst drought in a decade. For many areas in Australia, the lack of adequate rainfall in 2006 added to significant longer-term dry conditions, with large regions having experienced little recovery from the droughts of 2002-2003 and 1997-1998. Dry conditions have now persisted for 5 to 10 years in some areas and in south-west Western Australia for around 30 years. Across the USA, moderate-to-exceptional drought persisted throughout parts of the south-west desert and eastward through the southern plains, also developing in areas west of the Great Lakes. Drought and anomalous warmth contributed to a record wildfire season for the USA, with more than 3.8 million hectares burned through early December. Drought in the south of Brazil caused significant damage to agriculture in the early part of the year with losses of about 11 per cent estimated for the soybean crop yield alone. Severe drought conditions also affected China. Millions of hectares of crops were damaged in Sichuan province during summer and in eastern China in autumn. Significant economic losses as well as severe shortages in drinking water were other consequences. Heavy precipitation and flooding. As the 2005/2006 rainy season was ending, most countries in southern Africa were experiencing satisfactory rainfall during the first quarter of 2006. In northern Africa, floods were recorded in Morocco and Algeria during 2006 causing infrastructure damage and some casualties. Rare heavy rainfall in the Sahara Desert region of Tindouf produced severe flooding in February damaging 70% of food stocks and displacing 60,000 people. In Bilma, Niger, the highest rainfall since 1923 affected nearly 50,000 people throughout August. In the same month, the most extensive precipitation in 50 years brought significant agricultural losses to the region of Zinder, Niger. Heavy rain also caused devastating floods in Ethiopia in August, claiming more than 600 lives. Some of the worst floods occurred in Dire Dawa and along the swollen Omo River. Again in October and November, the Great Horn of Africa countries experienced heavy rainfall associated with severe flooding. The worst hit areas were in Ethiopia, Kenya and Somalia. Somalia is undergoing its worst flooding in recent history; some places have received more than six times their average monthly rainfall and hundreds of thousands of people have been affected. This year’s floods are said to be the worst in 50 years in the Great Horn of Africa region. The heavy rains followed a period of long-lasting drought and the dry ground was unable to soak up large amounts of rainfall. Heavy rainfall in Bolivia and Equador in the first months of the year caused severe floods and landslides with tens of thousands of people affected. Torrential rainfall in Suriname during early May produced the country’s worst disaster in recent times. After 500 mm of torrential rainfall during a five-day period in February, a large-scale landslide occurred in Leyte Island, the Philippines with more than 1,000 casualties. Although close to average in total rainfall, the Indian monsoon season brought many heavy rainfall events with the highest rainfall in 24-hours ever recorded in several locations. Only months after the destructive summer flooding in eastern Europe in 2005, heavy rainfall and snowmelt produced extensive flooding along the River Danube in April and the river reached its highest level in more than a century. Areas of Bulgaria, Hungary, Romania and Serbia were the hardest hit with hundreds of thousands of hectares inundated and tens of thousands of people affected. Persistent and heavy rainfall during 10-15 May brought historic flooding to New England (USA), described as the worst in 70 years in some areas. Across the US mid-Atlantic and north-east, exceptionally heavy rainfall occurred in June. Numerous daily and monthly records were set and the rainfall caused widespread flooding which forced the evacuation of some 200,000 people. Vancouver in Canada experienced its wettest month ever in November with 351 mm, nearly twice the average monthly accumulation. Development of moderate El Niño in late 2006. Conditions in the equatorial Pacific from December 2005 until the first quarter of 2006 showed some patterns typically associated with La Niña events. These however, did not lead to a basin-wide La Niña and, during April, even weak La Niña conditions dissipated. Over the second quarter of 2006, the majority of atmospheric and oceanic indicators reflected neutral conditions but, in August, conditions in the central and western equatorial Pacific started resembling typical early stages of an El Niño event. By the end of the year, positive sea-surface temperature anomalies were established across the tropical Pacific basin. The El Niño event is expected by global consensus to continue at least into the first quarter of 2007. Deadly typhoons in south-east Asia. In the north-west Pacific, 22 tropical cyclones developed (average 27), 14 of which classified as typhoons. Typhoons Chanchu, Prapiroon, Kaemi, Saomai, Xangsane, Cimaron and tropical storm Bilis brought deaths, casualties and severe damage to the region. Landed tropical cyclones caused more than 1,000 fatalities and economic losses of US $10 billion in China, which made 2006 the severest year in a decade. Typhoon Durian affected some 1.5 million people in the Philippines in November/December 2006, claiming more than 500 lives with hundreds still missing. During the 2006 Atlantic hurricane season, nine named tropical storms developed (average: ten). Five of the named storms were hurricanes (average six) and two of those were major hurricanes (category three or higher on the Saffir-Simpson scale). In the eastern North Pacific 19 named storms developed, which is well above the average of 16; eleven reached hurricane strength of which six attained major status. Twelve tropical cyclones developed in the Australian Basin, two more than the long-term average. 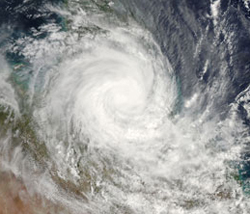 Tropical cyclone Larry [pictured above] was the most intense at landfall in Queensland since 1918, destroying 80-90 per cent of the Australian banana crop. 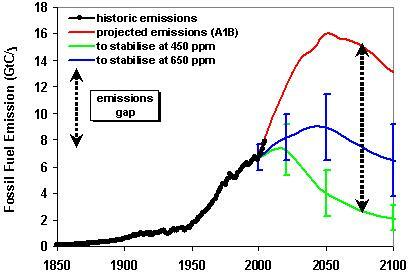 Ozone depletion in the Antarctic and Arctic. On 25 September, the maximum area of the 2006 ozone hole over the Antarctic was recorded at 29.5 million km², slightly larger than the previous record area of 29.4 million km² reached in September 2000. These values are so similar that the ozone holes of these two years could be judged of equal size. The size and persistence of the 2006 ozone hole area with its ozone mass deficit of 40.8 megatonnes (also a record) can be explained by the continuing presence of near-peak levels of ozone-depleting substances in combination with a particularly cold stratospheric winter. Low temperatures in the first part of January prompted a 20% loss in the ozone layer over the Arctic in 2006. Milder temperatures from late January precluded the large ozone loss seen in 2005. Arctic sea-ice decline continues. The year 2006 continues the pattern of sharply decreasing Arctic sea ice. The average sea-ice extent for the entire month of September was 5.9 million km², the second lowest on record missing the 2005 record by 340 000 km². Including 2006, the September rate of sea ice decline is now approximately -8.59% per decade, or 60 421 km² per year. Information sources. This preliminary information for 2006 is based on observations up to the end of November from networks of land-based weather stations, ships and buoys. The data are collected and disseminated on a continuing basis by the National Meteorological and Hydrological Services of WMO Members. However, the declining state of some observational platforms in some parts of the world is of concern. Following established practice, WMO’s global temperature analyses are based on two different datasets. One is the combined dataset maintained by the Hadley Centre of the UK Met Office, and the Climatic Research Unit, University of East Anglia, UK. The other is maintained by the US Department of Commerce's National Oceanic and Atmospheric Administration (NOAA). Results from these two datasets are comparable: both indicate that 2006 is likely to be the sixth-warmest year globally. More extensive updated information will be made available in the annual WMO Statement on the Status of the Global Climate in 2006, to be published in early March 2007. 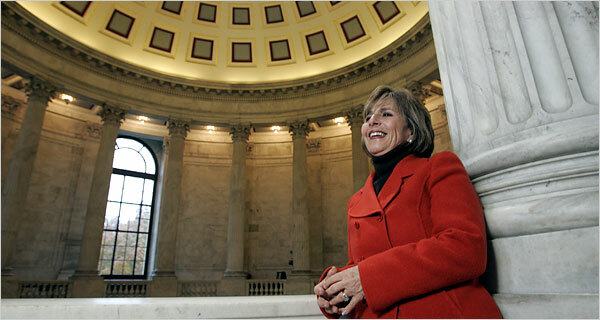 Sen. Barbara Boxer, the soon-to-be chairwoman of the Senate Environment and Public Works Committee, said Tuesday she will ask Republican Gov. Arnold Schwarzenegger and two Democratic state lawmakers to testify about why Congress should pass federal legislation modeled on California's landmark law to combat global warming. "We will invite them to come and tell America that this can be done," Boxer said, noting that with the governor she'll invite Assembly Speaker Fabian Núñez and Assemblywoman Fran Pavley, who wrote the measure passed last year requiring all California businesses to reduce their emissions of greenhouse gases. Boxer's remarks came as she previewed her agenda for when she takes the gavel of the committee from Sen. James Inhofe, an Oklahoma Republican who has called global warming a hoax and has fought against any federal limits on carbon dioxide and other heat-trapping gases. Boxer said legislation on climate change will be her No. 1 priority as committee chairwoman. She plans to conduct hearings early next year with scientists, environmentalists and religious leaders who want to address climate change. She also will ask business leaders to testify about their efforts to limit greenhouse gases. The California Democrat blasted the Bush administration and the GOP Congress for failing to address global warming, citing a new report by Germanwatch, a German environmental group, which found that among 56 industrialized nations, the United States ranked third-worst in dealing with climate change. China and Saudi Arabia were rated worse. "It's actually worse than dismal, it's disastrous," said Boxer, who said she has been taking calls from officials in other countries asking if the new Democratic Congress will take action to combat greenhouse gases. "The answer is, we are," she said. "If America is to be a leader in the world, we must act. We cannot expect others to act if we don't." Boxer will face many obstacles in passing a climate-change bill. 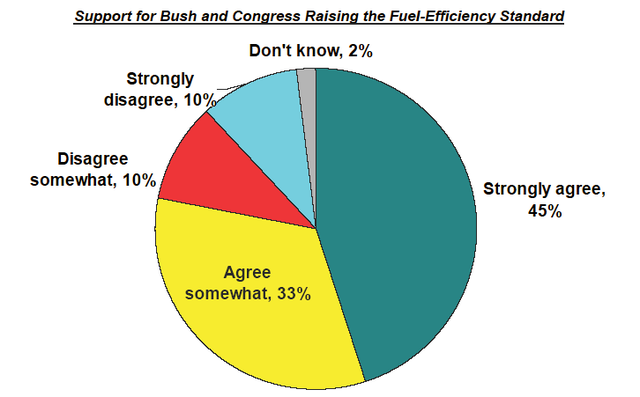 The Republican president opposes mandatory caps on greenhouse gases, and could veto a bill he dislikes. And Boxer's counterpart in the House -- Democratic Rep. John Dingell of Michigan, the soon-to-be chairman of the Energy and Commerce Committee -- hails from an auto-producing state and has fought against tough federal limits on vehicle emissions. Boxer said she thinks the change may come incrementally in Congress, as lawmakers react to the public's growing concerns about global warming. "Will I get everything I want? I doubt it," she said. Boxer also pledged a "sea change" in how her committee deals with virtually every other environmental issue. She said that after global warming legislation, top issues would be to focus on the effects of toxics on humans by holding hearings on chemicals used in toys and other consumer products, and the spread of perchlorate into drinking-water supplies. She also plans to challenge the administration on the Superfund program, calling for a return of the "polluter pays" system in which oil companies, chemical plants and other businesses have to pay fees to clean up toxic sites. Bush has opposed the fees, considering them a tax on industry, but as a result, taxpayers have shouldered a larger burden in cleaning up polluted sites. Boxer pledged to take a closer look at the administration's controversial New Source Review policy, an attempt to allow thousands of industrial plants to make improvements without adding new pollution-control equipment. She said she'll use her committee's oversight power to try to block the White House's effort to weaken or roll back environmental protections. "I think the way you stop these rollbacks is you shine a light on them," she said. In an unusual move, she also made a plea to employees of the Environmental Protection Agency to contact her with their concerns, saying that many government scientists have found their opinions overruled by political appointees at the top of the agency, including in the recent decision on new standards for particulate matter. Boxer's first major hire at the committee also gives an indication of which way the committee is headed: She picked Erik Olson, a senior attorney for the Natural Resources Defense Council, an environmental group that has battled the Bush administration, as her deputy staff director and general counsel. Boxer's takeover could prompt whiplash for observers who have been watching the Environment and Public Works Committee in recent years. Inhofe has backed the White House's efforts to ease rules on industry and used the panel's hearings to raise questions about whether human beings are causing climate change. His final hearing scheduled today will examine whether the media has been overly alarmist in warning of the effects of climate change. Boxer, who professes a friendship with Inhofe, called the hearing a waste of time, but pledged to attend anyway to ask hard questions of witnesses.